The Gord Bamford Foundation is hosting its first annual Pics & Sticks Charity event, presented by Kubota Canada Ltd & Gerard’s Equipment of Oliver, BC, which includes a charity hockey game: Edmonton Oilers Alumni versus The Alumni on Wednesday, May 15, 2019 at 7:00 p.m. Hosted by Gord Bamford and Kevin Primeau the event gives people the chance to play alongside NHL alumni like Glenn Anderson, Chris Joseph, Marty McSorley, Ron Lowe and country music stars like Gord Bamford, Dallas Smith, Aaron Pritchett and Chad Brownlee. 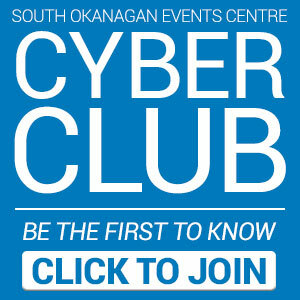 In partnership with the South Okanagan Youth Foundation the event will give back to local and British Columbia charities including Children’s Miracle Network, Make-A-Wish Foundation British Columbia, Basic for Babies, and of course, the area’s minor hockey associations. The event is the perfect mix of sport and music, two things that everyone can enjoy. 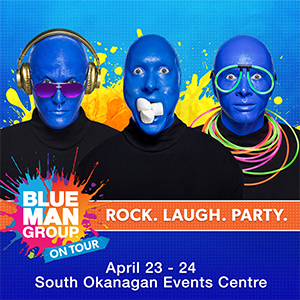 Consisting of a charity hockey game at the South Okanagan Event Centre in Penticton, an 18 hole golf tournament at the Sonora Dunes Golf Course along with the banquet and concert at the Spirit Ridge Resort in Osoyoos, the event is the first of its kind in the area. “This event brings together a few of my favourite things. Country music, hockey, golf, and community support. I’m really looking forward to watching this event unfold in one of Canada’s most spectacular settings,” said Gord Bamford. Hockey teams from West Kelowna to Osoyoos have the opportunity to raise money and 1 lucky winning team will have the opportunity to play with stars! 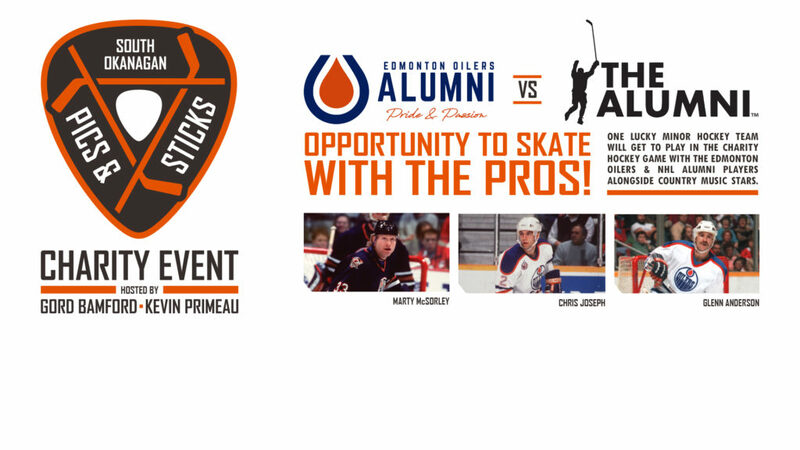 Come see Oilers, Canuck & NHL Alumni greats like, Marty McSorley Glenn Anderson, Chris Joseph, Ron Low team up with Canadian music stars, Gord Bamford, Dallas Smith, Chad Brownlee & Aaron Pritchett.